Burma is a Southeast Asian country bordering China, Thailand and Laos. David visited Burma, now known as Myanmar, for the first time in 1984, when tourists could only stay seven days. He returned again in 1994 and has been back every year since. In 1999, David brought five gallons of rubber latex with him on the plane to Myanmar. 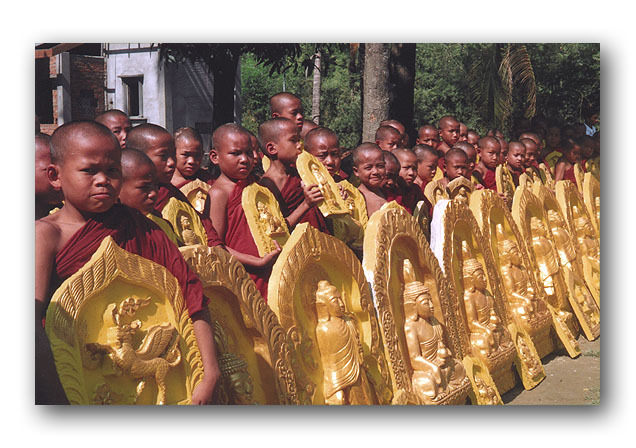 Once there, he taught rubber mold making and concrete casting in a Myanmar Buddhist monastery. The experience was so rewarding that it became a pivitol point in his life; he has been teaching mold making and concrete casting in Myanmar Buddhist monasteries every year since then. The monasteries are given all of the supplies needed to make these beautiful concrete designs and the children who live in these monasteries learn how to make them. Monasteries cannot be involved in business, so the monasteries give the concrete panels to local organizations, pagodas, other monasteries and individuals. Monasteries are dependent on the local community for support. 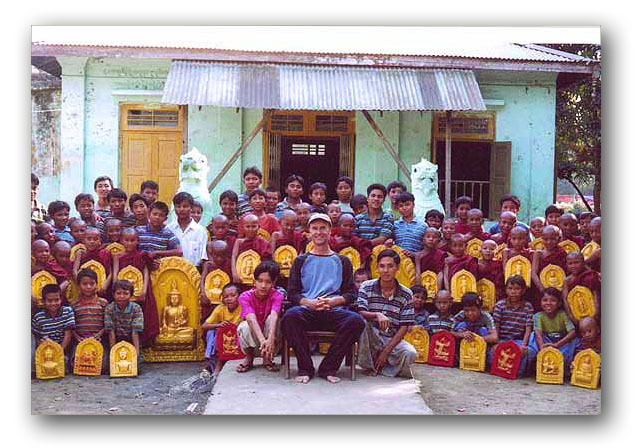 This is an example of where a monastery is able to return something back into the community. 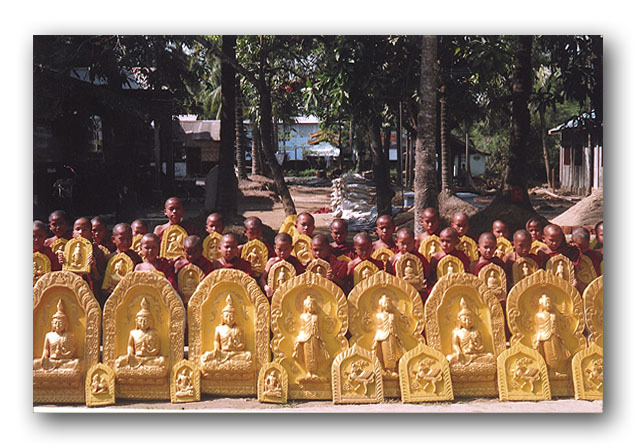 In addition to teaching rubber mold making and concrete casting in Myanmar Buddhist monasteries, David has also been able to help fund programs and projects in these monasteries and nunneries. Your donations will make it possible for David to return and continue this work. Please help if you can. For more information, please visit SharingMerits.org.